Lately there has been much debate over whether no-follow backlinks can help to improve a website’s search engine rankings or not. Whilst some people believe they are valuable in improving search rankings (just not necessarily on Google) others believe they are a complete waste of time. Whilst it’s still unclear of whether no-follow links help to boost rankings, they can certainly help to drive traffic to your website and increase your conversion rates. 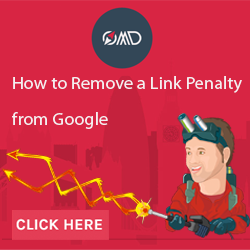 Google have openly said that in general they do not pass PageRank or anchor text across no-follow links, however many SEO experts are claiming that it is a myth that Google doesn’t crawl and index them. It is now being said that Google do index these websites, they just don’t give them a ranking boost. Either way, it is important to remember that just because Google doesn’t count no-follow links when ranking your website, it doesn’t mean that other search engines don’t either. When it comes to improving a website’s SEO, most people tend to think about what Google is looking for, but it is important to remember that SEO is not all about Google, there are other search engines out there too! Whether no-follow links contribute towards better rankings or not, what we can definitely say is that they build awareness. At the end of the day, if someone sees your link on another website (whether it is no-follow or not), clicks on it and ends up buying your product then that link will be extremely valuable to you. Seeing as the only purpose of SEO is to increase awareness of your website and drive traffic through to your website, it doesn’t matter whether you get sales from being the highest ranking site on a SERP or having a no-follow link in a great guest blog post, the fact is you are meeting your conversion goals. Another important point from Godrank Marketing is the urge to add diversity to your backlink profile and make it look even more natural so we always recommend doing a small percentage of them when doing any link building campaign.